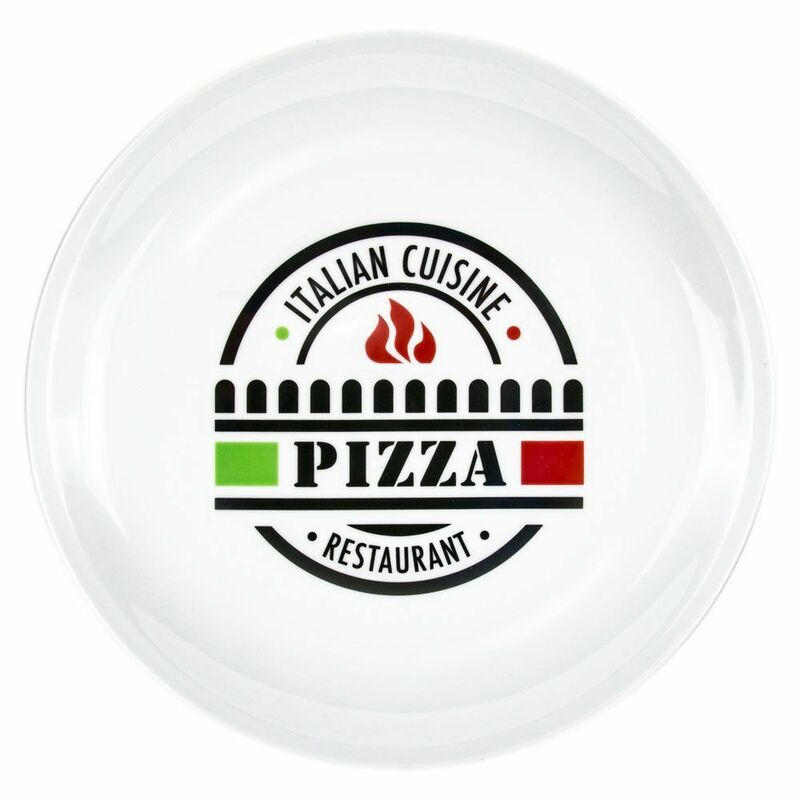 Modern ceramic pizza plate in white gloss finish with black, red and green colouring. Features the wording "Italian Cuisine" and "Pizza Restaurant". Perfect for dining-in with a good pizza, a must have for any kitchen! Product dimensions: Height - 2.5cm, Width - 30cm. Depth - 30cm. The plate is perfectly suitable for dishwasher and microwave usage.